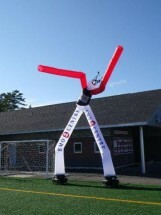 *2-leg Dancers are patented designs and only manufactured by authorized companies. 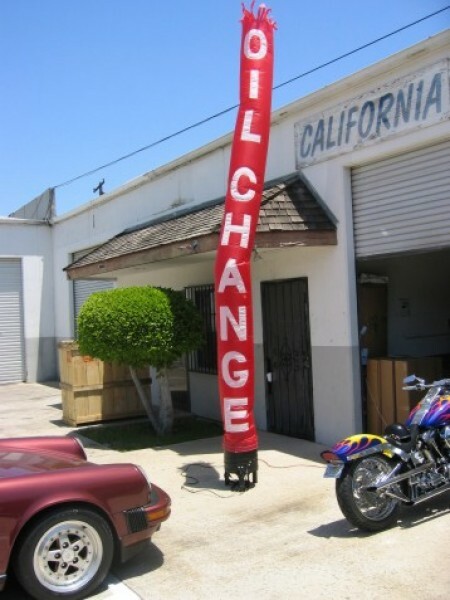 *LOGO OR LETTERING IS $75.00 EXTRA PER SIDE. 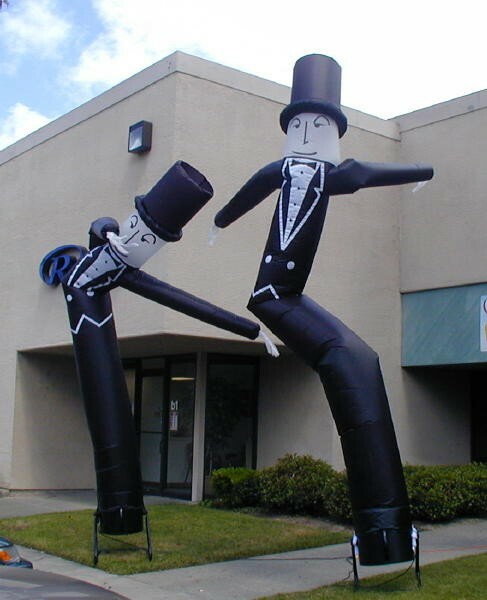 *Many other Inflatable Custom Air Dancer Characters available (PRICES VARY): Uncle Sam, Chef, Wizard, Jester, Toy Soldier, Cheerleader, Santa Claus, Snowman, Scarecrow. Tux Man, Cow, Hula Girl, Sax Player, Rasta Man, Cowboy, Bride, Groom, Football Player, Baseball Player, Soccer Player, Basketball Player, Ghost, Witch, Pilgrim, Angel, Jack O' Lantern. CUSTOM CHARACTER CATALOG AVAILABLE UPON REQUEST. 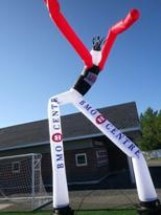 INFLATABLE AIR DANCERS INCREASE TRAFFIC & SALES 5-10% FOR ANY RETAIL STORE, OR SPECIAL EVENT! 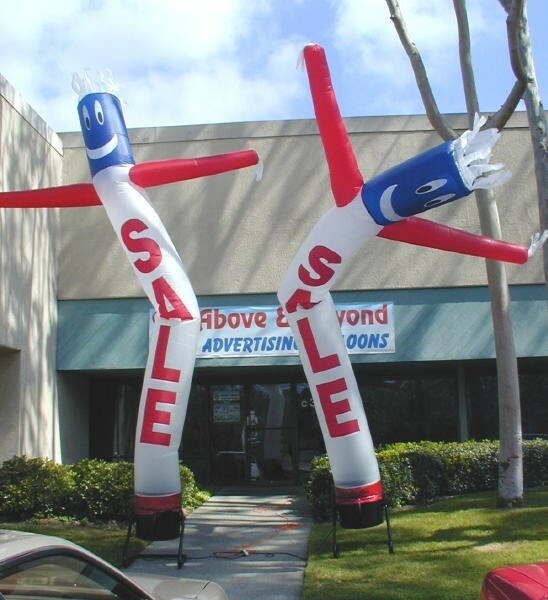 Inflatable Air Dancers, Dance, Wiggle, and Gyrate to announce a sale and increase store traffic and sales. 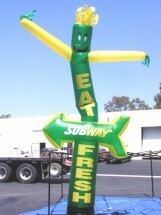 Inflatable Air Dancers are uniquely qualified to grab potential customers attention, substantially increase walk-up traffic, drive-up traffic, and thereby increase sales immediately and cost-effectively. 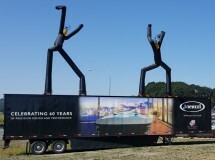 Inflatalble Air Dancers come in many standard shapes from 2-leg, or 1-leg, models to custom shapes like Cowboys, Chefs, Hula Dancers, Scare Crows, and Football & Baseball players. 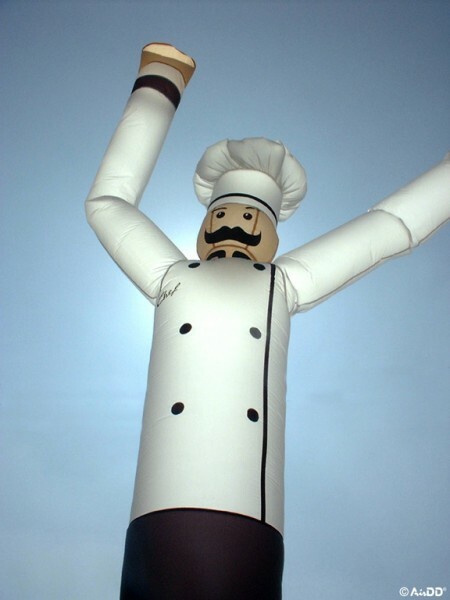 Constant motion grabs immediate attention. 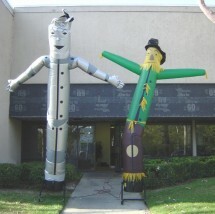 Many designs, characters, and colors to choose from. 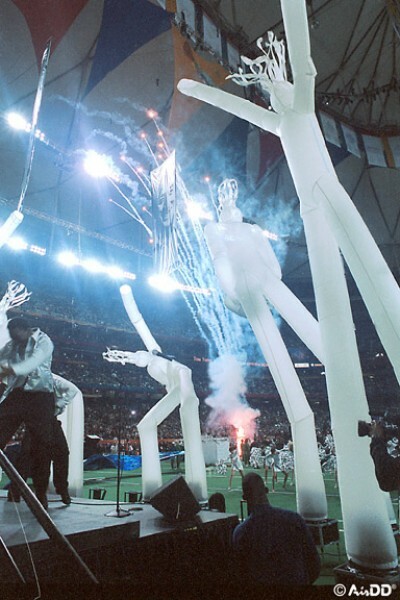 As seen at the Super Bowl and Rock Concerts !